where residents of all ages and incomes visit and enjoy spending their time? where people go to hear interesting speakers discuss new ideas, books, travel, and a broad range of topics? where you can get help when applying for a job? 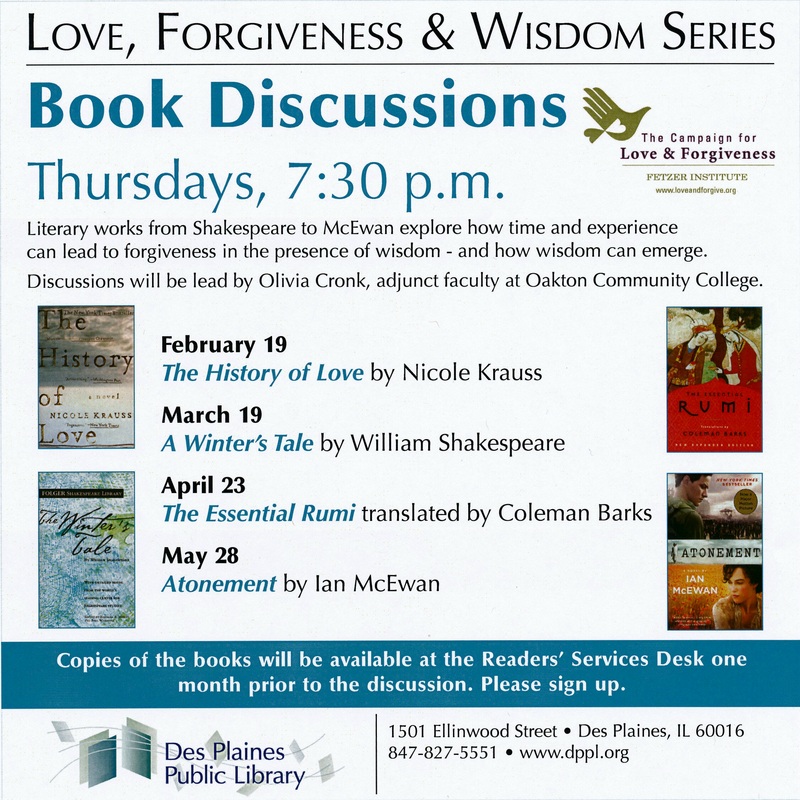 where you can stop by and take home a book, CD, or DVD at virtually no cost? that's also a place that's "owned" by everyone in the community? and can be counted on, day after day, to draw people downtown or to main street? In a growing number of cities and towns, there's one place that answers all these questions: the public library. Dramatic new or renovated libraries have become cornerstones of downtown in dozens of cities, including Denver, San Antonio, Des Moines, Indianapolis, and Salt Lake City, to name a few. Noted architect and writer Witold Rybczynski offers an online slide show titled, "How do you build a public library in the age of Google?" His main point: libraries are far from dead in today's internet age -- in fact, they're making a comeback as key anchors in our downtowns. Indeed, they're bringing us full circle to the "end of the 19th century and the beginning of the 20th, when cities such as Boston, New York, Philadelphia, Detroit, and Chicago built ambitious public libraries." It's important to recognize, however, that it's not just big cities that benefit from libraries. In fact smaller cities and towns may have even more to gain from a having a thriving library as they don't have the range of community gathering places that larger cities often have. Reporter Annie Stamper writes that: "No more just a place to find books, today's library is a place that extends far beyond its physical walls with the addition of digital information and access. Particularly in small towns, the library is often the hub of the community, providing a place for residents to meet, as well as to learn." Libraries, like city halls and post offices, are key to strong communities. Ed McMahon, a senior fellow at the Urban Land Institute, has pointed out that "public buildings and spaces create identity and a sense of place. They give communities something to remember and admire. The challenge facing public architecture is to provide every generation with structures that link them with their past, fill them with pride, and reinforce their sense of belonging." Keeping libraries in the center of town, and having them reflect high standards of design, is a challenge a growing number of communities are successfully meeting. 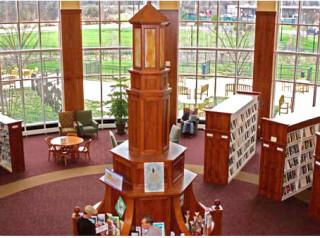 I stopped in Hudson, Ohio, this April as part of my "Circle The USA" trip to learn about their library. Hudson is a small city (population 22,439), midway between Cleveland and Akron. It has elements of both a suburb and a small town. In the center of Hudson is its historic Main Street business district, home to the city's library. Opened in 2005, the library is housed in a stately brick building, with functional but very attractively designed interior spaces. The heart of the library is its rotunda, proof that the design of libraries today can match that of the classic Carnegie library buildings of a century ago. New libraries tend to need considerably more space than their earlier counterparts. That's the case in Hudson, where the new library building (at 50,000 square feet) is much bigger than the old building (at 17,000 square feet). At first blush this seems counter-intuitive. Why in today's internet and digital age would libraries need to be larger? More importantly, why do they seem in even greater demand? I asked Assistant Director Margie Smith what draws people to the Hudson library. "It's become the cultural, entertainment, and social hub of Hudson," she replied. "The library programs a lot of readings, there are musical performances every week, and we also have meeting rooms." The library is funded primarily through a property tax levy (raising $1.4 million), with just over $1 million more from the State of Ohio. 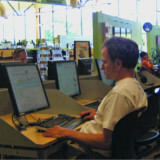 The library also makes extensive use of volunteers, including "tech wizards" who help out in the computer center. Indeed, you could say the library is Main Street's star attraction. As Hudson City Planner Mark Richardson told me, "you can't just rely on retail in downtown expansion, you need an activity center like a library." "The library," Richardson continued, "fulfills its role as the anchor by creating opportunities for multi-stop trips downtown." The Main Street extension (called First & Main) consists of a mix of retail, office, and housing. The City has architectural design standards for the area. As Richardson notes, "the idea was for it to be a natural extension, not a replication, of Main Street." The streets are laid out in a grid, connecting with the old village. From Richardson's perspective as a planner, having the library downtown is also cost-effective. As he explains, "the library's location downtown has helped facilitate numerous partnerships and collaborations with the merchants; the public, private, and parochial schools; and the City of Hudson because they are all located in close proximity ... these collaborations have allowed the library to stretch its tax dollars and, at the same time, more effectively serve the needs of Hudson." ... article continues over next 5 pages with a look at the economic benefits of libraries and the changing nature of library services; plus sidebars on Carnegie's legacy; state funding of libraries; and neighborhood libraries.